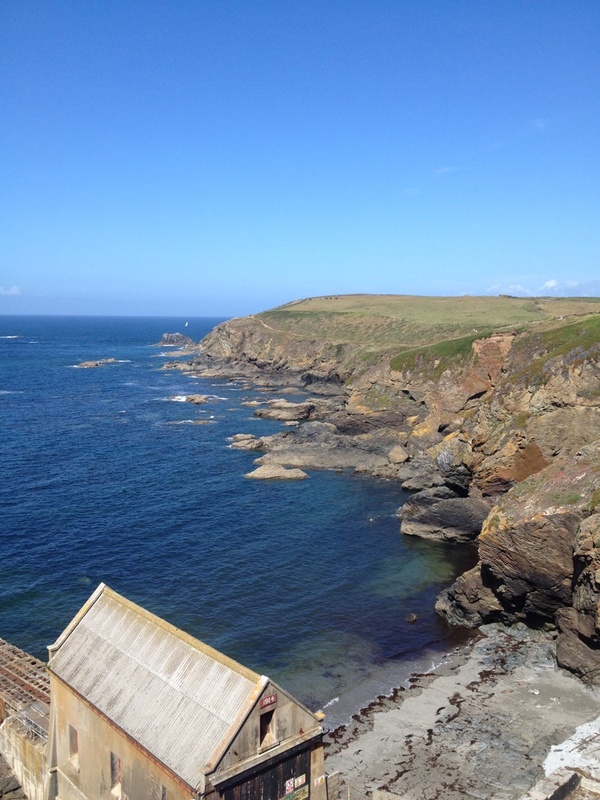 I have always wanted to explore the Cornish coastline, famed for its sweeping beaches, hidden coves, bustling fishing villages and mouthwatering Cornish pasties. Why has it taken me so long to visit? To be honest, the thought of a boat journey followed by a five-hour drive down the coast never appealed to me. It’s fine for a week holiday, but not for a long weekend. My dream of visiting was put on a shelf for another day, another time. This summer, however, everything changed when Aer Lingus Regional introduced a flight from Dublin to Newquay, Cornwall. I packed a bag for a weekend, waved goodbye to the rain soaked land of Ireland and arrived an hour later to 21 degrees and blue skies. Newquay Cornwall Airport is small and organised and I was out with the keys to my hire car in under 15 minutes. Bliss! My base for the weekend was the somewhat remote Lizard Peninsula, but before hitting the coast, there was one stop I had to make – The Eden Project. An inspirational oasis, where in amongst 20 acres of lush gardens, two Biomes rise unexpectedly towards the sky. One houses the world’s largest indoor Rainforest and from the moment I stepped in, I was whisked back to a weekend I once spent in a tropical rainforest in Australia. The humidity, smells, sound of cascading waterfalls and towering rubber trees mirrored my experience perfectly. I made my way upwards, along narrow pathways past waterfalls, a Malaysian hut and even a ‘cooling off’ hut. The humidity got worse the higher I went and as I finally reached the canopy walkway sweat was dripping from me. Below, children ran excitedly shouting “Look, a banana tree!”. They were as transfixed by this new world, as was I. The second Biome offers a drier heat in the Mediterranean Biome. Again, narrow paths lead you through citrus groves, colourful grasslands, a vineyard and other South African, Californian and Mediterranean lands. This is a true oasis of lush gardens, play areas, restaurants, educational areas, art exhibitions and during the summer they have open-air concerts. It’s a space for every age group, just make sure to give yourself a day to enjoy everything there is to see. I was tired by the time I drove down the treelined driveway and through the pastures and woodland of Trelowarren Estate. The Vyvyan’s have been on the estate for over 600 years, and like many estates these days, they continue as a working estate, but have also opened their doors to visitors. Farm buildings have been renovated into pretty self-catering cottages, while more luxurious houses stand in amongst the woodland catering for up to 10 people. The estate is popular with families who laze by the heated swimming pool, hike through the woodlands and fields (over 1000 acres), play tennis, dine in the Courtyard Restaurant and enjoy in the peace and beauty of the estate. I’m too exhausted to do much, except fall into a deep sleep. Lizard Point is the most southerly point in the British mainland and the dramatic views are worth the trip. You can sip on a cup of tea from the quaint coffee shop, while soaking up the scent and sound of the sea below. 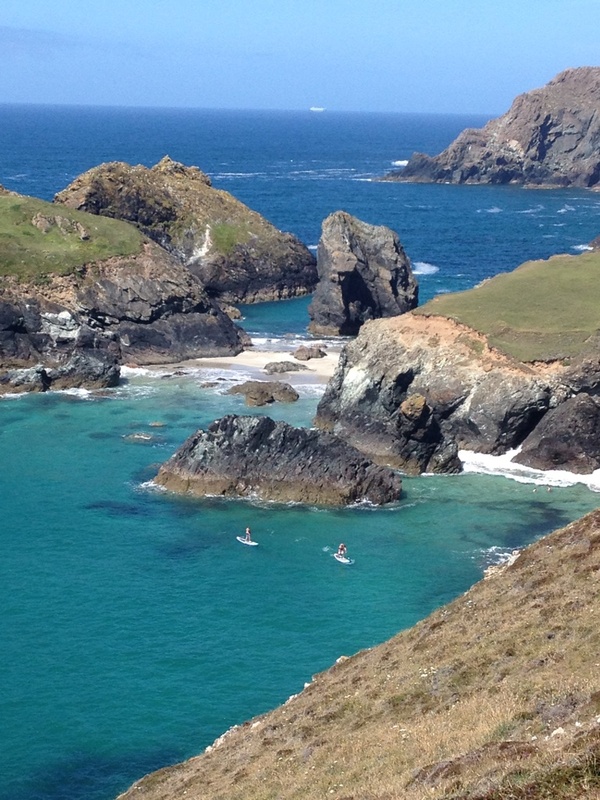 From here you can do a scenic 2 mile walk to Cornwall’s most photographed and painted beach – Kynance Cove. The steep climb down onto the beach may be off-putting, however, the lure of the turquoise waters and mysterious caves are too enticing for most visitors to resist. Cornwall is one of the most family-friendly destinations I’ve come across. Even on remote country roads signposts point towards theme parks, gardens, animal parks, paintballing, orchards and endless attractions. If the rain falls, there’s plenty to keep you occupied, however, when the sun shines, you really just want to enjoy the villages and beaches. The Lizard – remote, beautiful and free from crowds. Porthleven is a pretty, bustling fishing village packed with cafes, restaurants (Rick Stein has a place here) and pubs. Seals call out to the fishing boats, families sit on the harbour walls with pasties and ice-creams, watching children brave the cool water of the harbour. 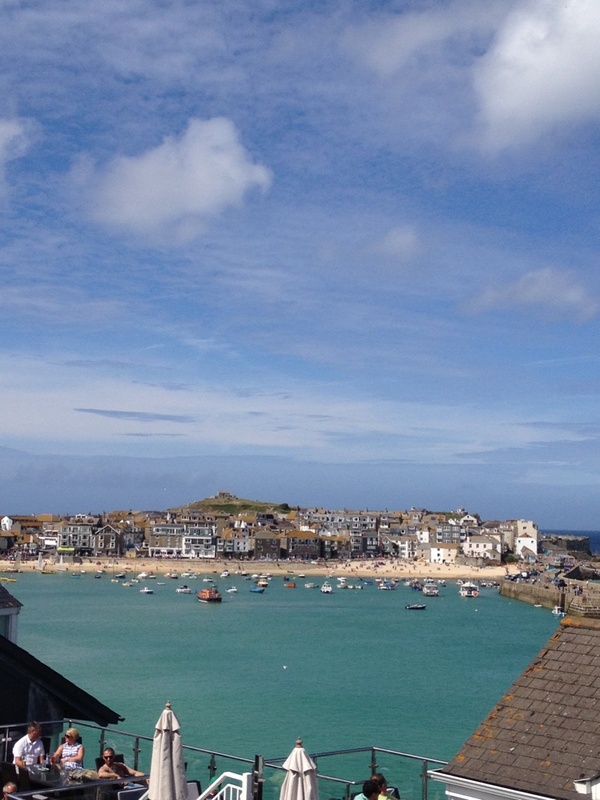 St Ives – probably the most visited town in Cornwall. Boasting all the best boutiques, restaurants, bars, a rake of accommodation for all budgets and two fantastically beautiful beaches, St Ives is a big hit with tourists. It has more of a feel of a seaside town on the Continent than on the south-west coast of England. However, with such beauty comes popularity and I have to be honest, I took a sigh of relief as I drove away from the madness of the crowds. If just visiting for the day, take the train from Carbis Bay – stunning journey and you avoid traffic. 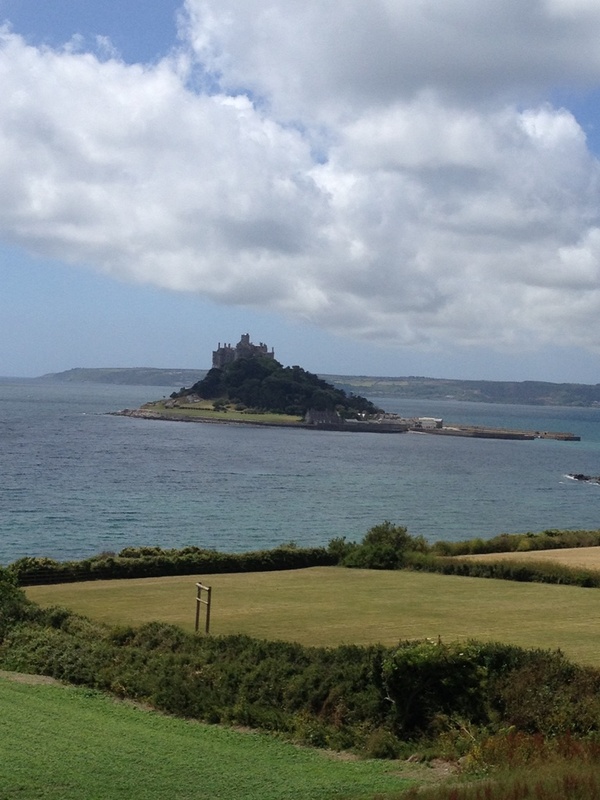 St Michael’s Mount – the small wooded mound, crowned with an imposing castle, sits off the coast of Penzance. Visitors are transported by boat, or if the tide is out, can walk across to the island. Unfortunately, the Lady of the house closes up on a Saturday, so I admired from a distance. I had dreamt of visiting Cornwall and it was worth the wait. The ease of getting over with the new Dublin – Newquay route makes it easily accessible even for a weekend trip, although I recommend at least 3 -4 days as there’s so much to see and do. There is a feel of Donegal, mixed with Kerry about the coast, but there is something unmistakably unique and mystical about Cornwall that captures your heart.